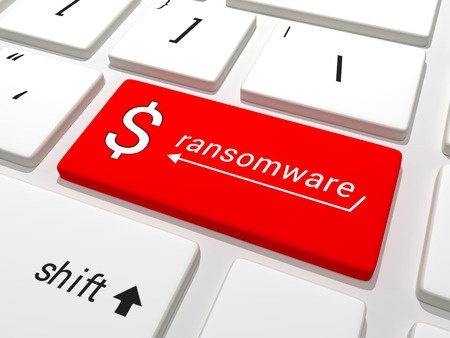 39% of enterprises were hit by ransomware last year … Of those, 40% paid the attackers in order to retrieve their data. Many AV companies say there is little chance of recovery without the keys. FBI says corporates have a risk decision to make. Europol says simply ‘don’t pay’. Is Europol being realistic? In the abstract, there’s an undeniable argument that if you give in and pay the ransom, you’ve directly contributed to the wellbeing of criminality. In many cases, it’s a purely economic decision: it’s cheaper to pay up than lose the data. In other words, you’re providing sustenance to a protection racket. On the other hand, if you don’t pay up, you probably don’t get your data back – sometimes there is an effective free decrypter available, but most of the time the security industry can’t provide one – and maybe the damage is so severe that you go out of business. You can’t blame people – or companies – if they decide to pay up rather than commit financial suicide, any more than you can blame them for giving their wallets to people who threaten them with knives. In fact, since we’re talking about corporates rather than individuals, it might be seen as being more responsible to pay up rather than destroy the livelihoods of all staff, including those right at the bottom of the hierarchy who are generally less likely than the board of directors to survive the damage to their finances. If people and companies didn’t pay up, then ransomware attacks would become uneconomic, which wouldn’t stop criminality, but would force crooks to explore other avenues – or maybe I should say dark and sinister alleyways. However, the attacks will remain economically viable as long as people aren’t willing or able to defend their data proactively. It’s easy for those who have the knowledge and resources to implement adequate defences – which is not as easy as many commentators point out – to say that it’s ‘wrong’ to give in to ransom demands. Of course companies should implement such defences, and that would impact on the viability of the attacks. If they don’t do so because it’s cheaper to pay up than to spend money on a backup strategy, then that is reprehensible. I don’t know how often that happens, though: after all, sound backup practice is a defence against all sorts of misfortune, not just ransomware. Since it’s a bit tricky to back up data without connecting to the system used for primary storage, I suspect that what they meant was that you shouldn’t have your secure backups routinely or permanently accessible from that system, since that entails the strong risk that the backups will also be encrypted by the ransomware. The expanded tips given in an FBI brochure are somewhat clearer on that point. Get an ESET Business Trial!